At the end of today's post, I have a little something extra - a free printable of one of the verses I shared. You can also find a link to it on my new "Printables" page. Sometimes it's hard to see God at work in our lives. When we're struggling, it's easy to forget that He's in the middle of the mess with us. Sometimes it's only when we look back that we see His work and realize He was right beside us the whole time. There have been many times in my life like this, but honestly, His grace starts at the very beginning of my story. Jeremiah 1:5 says, "Before I formed you in the womb, I knew you, and before you were born I consecrated you..." A few years ago, I shared the story of my birth in my post "First Grace." You can read the whole story here. The short version is that I had a 50/50 chance of surviving after a doctor's bad call led to a very difficult delivery. Even if I lived, there was the very real possibility of brain damage. God's grace was there from my first breath or I wouldn't be here. Grace was there as I grew up. There were times I could have taken the wrong path, the one that led away from God - but He placed people in my life to turn me back to the road to Him. There were times He protected me from danger I didn't even know was there until it passed. There were the times He healed me when I could have faced surgery or worse. His grace covered me. 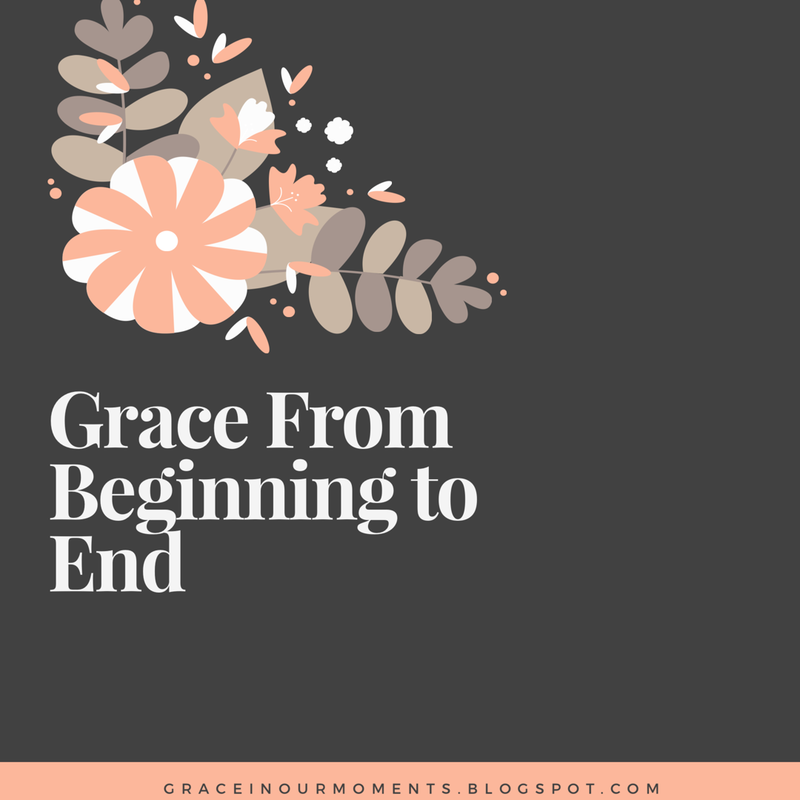 Even in the bad times, there was grace. When I had nothing, God provided and gave me all I needed. When I was afraid and couldn't see the next step, God walked with me. When I stumbled under the heavy load I carried, He carried me. Isaiah 46:4 says "Even to your old age I will be the same, and even to your graying years I will bear you! I have done it, and I will carry you; and I will bear you and I will deliver you." "Your graying years" - my hairdresser will tell you I'm there. She points out every six weeks how quickly the gray in my hair is spreading. As much as I've always loved this verse, I didn't expect to hit my graying years so soon. I'm not even forty yet. Life is passing by faster than I ever imagined. My life is changing quickly. My oldest son is finishing his junior year of high school. My youngest is in eighth grade. The babies I carried in my body now tower several inches taller than me. Within just a few years, there will be two less people living in our house as our boys grow up and move out. Our nest will be empty. My husband and I will begin a whole new phase of life. It's scary, knowing everything is about to change. I want to hang onto the here and now, or rewind time and relive past moments. But I can't. I march on through my graying years. But I know that God meets me here. He promised He would. Psalm 71:18 says "And even when I am old and gray, O God, do not forsake me, Until I declare Your strength to this generation, Your power to those who are to come." God isn't done. Until I breathe my last, He has a purpose for me. He has a role for me to fill, and He will give me grace to do it. One day, when my life ends on this earth and my new life in eternity begins, I believe I'll look back see His hand in every aspect of my life, the good and the bad, grace from beginning to end. Do you need a reminder of His never ending grace as much as I do? I've created a free printable for you! Click here for the card size version of Isaiah 46:4. Print it out and use it to memorize this scripture. Or use it as a reminder that God's grace is always with us. I hope you enjoy it! There are few things I love as much as getting lost in a great book. When a story is so good it keeps me up late, desperate to find out what happens next, I'm a happy woman. Every so often, I come across a book that just grabs me and won't let go. These are the books I recommend to everyone, the books I can't stop thinking about long after the last page, the ones I could read over and over again. These five books are fantastic. Many are award winners and bestsellers, so I'm not alone in my opinions of them. If you're looking for your next great read, check out one of these titles. I read and loved Julie's first two books, Into the Free and When Mountains Move. She did a great job in these two historicals dealing with really tough topics, but nothing could prepare me for her first contemporary novel, The Feathered Bone. It deals with incredibly hard topics with gut wrenching reality and incredible hope. It's been over a year since I read this book and I still think of it often. Be warned - this is not a light read. There were times I was so overwhelmed I had to put the book down for a little while and process what happened. But this is one of the most heartbreaking, beautiful, hopeful books I've ever read. It's a must read. Just keep the tissues handy. 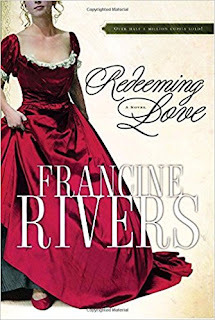 I read Redeeming Love more than twenty years ago, when the Christian fiction book market was still young. It pushed the limits back then. I remember thinking how different this book was from everything else in the Christian market at the time. 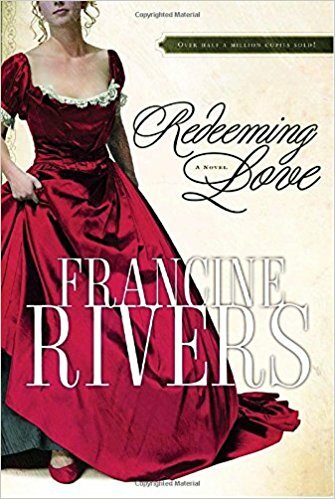 Now it's considered a classic of Christian fiction. 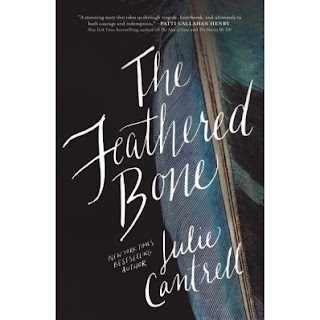 This book deals with some of the same topics as The Feathered Bone. The retelling of the story of Gomer and Hosea, set in the American West, is also a heavy read, but the ending makes it all worthwhile. Charles Martin's name kept popping up for months - in Facebook groups, on Instagram, on friends Goodreads lists. When I read Long Way Gone, I realized why. Not only is the story incredible, but the writing style is one of the most beautiful I've ever read. I wanted to get to know these characters, to sit down and have coffee with them. 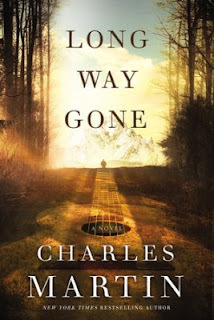 Based on the parable of the prodigal son, Long Way Gone made me cry more than once, but there's still that strong theme of hope in the darkness that I love so much. Mention Ted Dekker's name and you'll probably get a strong reaction. People either love his books or hate them. I personally love them, especially his mysteries. 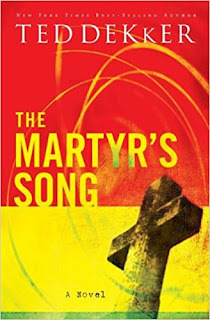 But The Martyr's Song is unlike any of his other books. This short book is so powerful. Set in a small town in WWII, it tells the story of two people facing death for their faith in God. As they face the unimaginable, God reveals tiny hints of what they will soon see as they make the ultimate sacrifice for their faith. Though the story is very dark, it's laced with the incredible hope we have because this world isn't the end. Every Christian should read this one. The only nonfiction book on my list, Same Kind of Different as Me tells such an amazing true story that it reads as well as any novel. The last line is one of my favorite quotes ever. 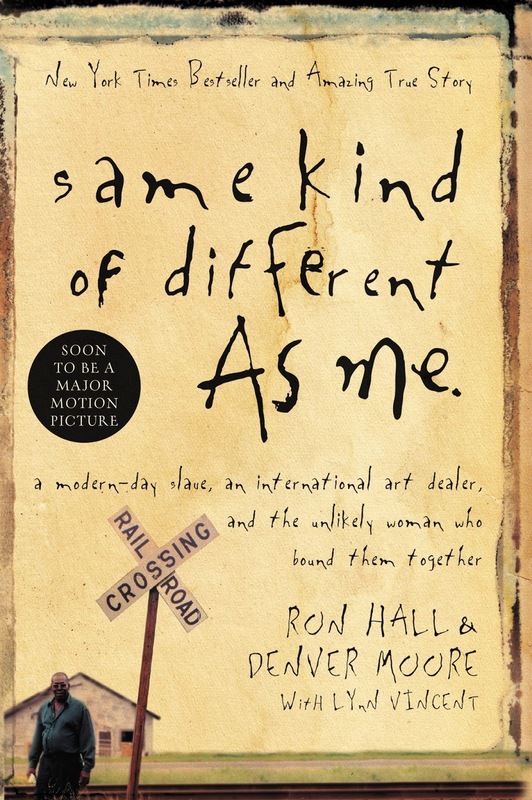 You'll look at life, friendship, homelessness, and more so differently after reading this. Read it before you see the movie--it just came out on DVD a few weeks ago. I'm always looking for my next favorite book. What do you find yourself recommending to everyone?